Congratulations Kimberly Solis! Your prize will be shipped to the address you provided. As a mom, finding easy and nutritious snacks that I can take on the can be frustrating! I don't always plan ahead, so sometimes I just need to grab something out of the pantry that both of my kids can and will eat. This is where NEW Earth’s Best Organic® Yogurt Puffs come in! excited to introduce new Yogurt Puffs! 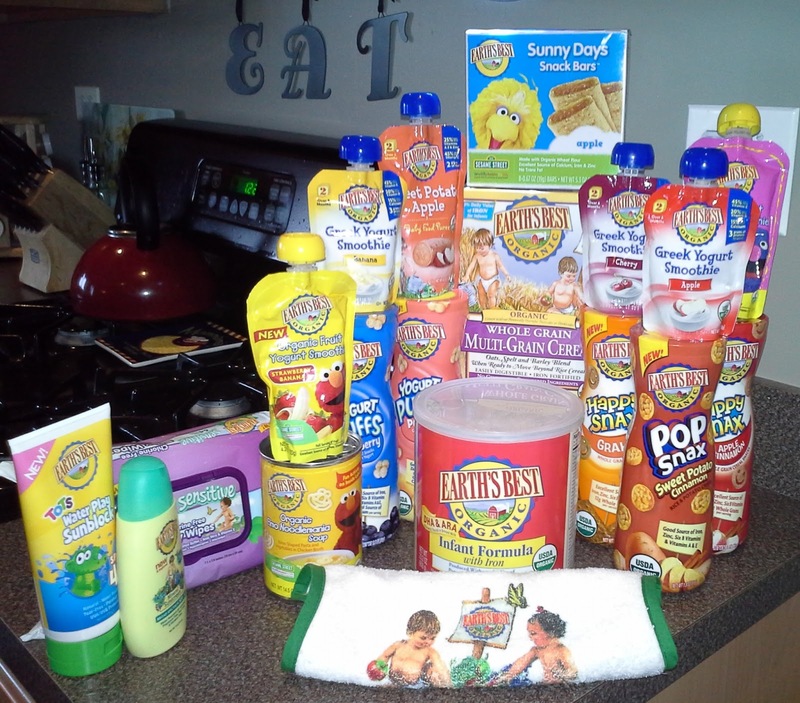 snacks which includes Pop Snax Rice & Potato Crisps and Happy Snax Whole Grain Cereal Snacks. Iron, Zinc and Calcium to support healthy bone growth! 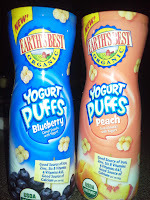 Win: Enter below for a chance to win a set of Blueberry and Peach Yogurt Puffs! Earth's Best Blogger Program Introductory Giveaway! As I announced on my blog yesterday, I am thrilled to be a part of the Earth's Best Blogger Program for 2013! When it comes to my children, ensuring that the foods and products I am surrounding them with are of the best quality is one of my most important jobs. As more and more research surrounding the chemicals about our foods and how they are contributing to the high-rates of disease in our society is concluded, I find myself pouring more over the labels and less on the kiddy appeal. But, what I love about Earth's Best is that I can buy products that are not only good and safe for my children, but that they also love! It's the best of both! Healthy foods for kids don't have to be boring! Earth's Best produces food with the highest degree of attention to quality and safety. Each ingredient is tested for pesticides and potentially harmful residues. No product is released until our quality assurance department approves laboratory results, ensuring we meet the strict standards for organic certification. which may compromise long-term immune system development. neurological development and restore the iron depletion that results after birth. do not use juice from concentrate. iron and help fight infections. Win It: Enter below to win your very own Earth’s Best Welcome pack- assortment of Earth’s Best products! Exciting Announcement: Acceptance into the Earth Best's Blogger Program! I just wanted to take a moment to share the exciting news with all of you. 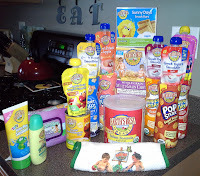 Savy Mommy Moments has been accepted into the Earth's Best Blogger program for 2013! What does this mean for my readers? Well, it means that I will be bringing you tons of fun posts, giveaways, product announcements and promotions from one of your favorite family-friendly brands! On 1/31, I will be releasing my official introduction post, so you can learn more about all of the wonderful benefits of buying Earth's Best products for the little ones in your life. I would love for you to leave a comment below telling me about your favorite product from Earth's Best! It's Day 30 of Kickin' It Off With Cloth! brought to you by The Thrifty Nifty Mommy Blogger Network. There are three reviews and giveaways today! cloth wipes sponsored by SMQ Organics! set of handmade cloth wipes HERE! Wild Mountain Mommies AI2 diaper HERE. You can read the review and enter to win a $15 shop credit HERE. 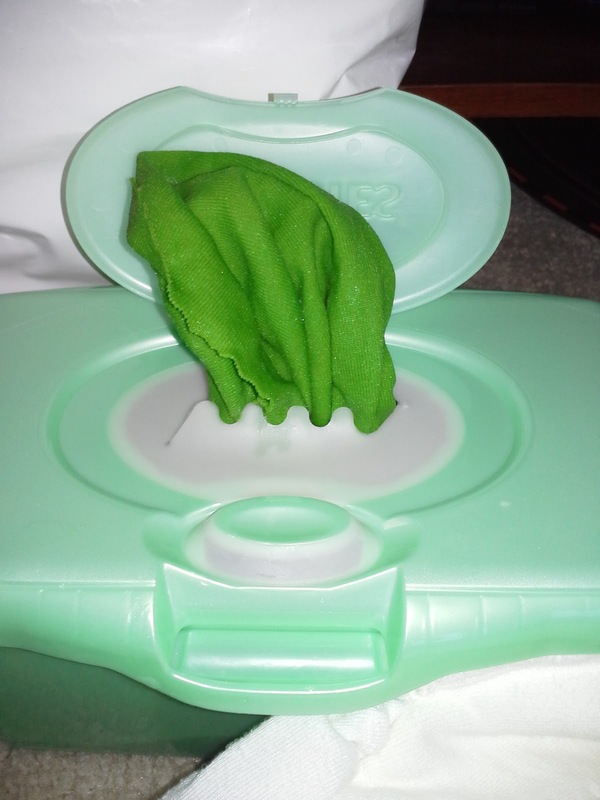 Since I started cloth diapering, I always wanted to try cloth wipes. Recently, I was given the opportunity to try out wipes from SMQ Organics. 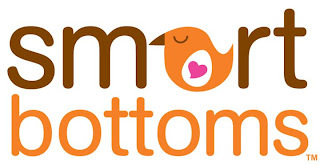 SMQ Organics is a mom owned and crafted Etsy shop that specializes in organic handcrafted baby items, including crib sheets, washcloths, cloth wipes, and blankets. Wipes in Organic Cotton, Soy and Rayon from Bamboo. These wipes are good for your baby and good for the planet. 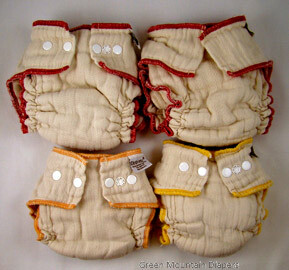 They are luxuriously soft and will not irritate baby's delicate newborn skin. Can also be used for Cleaning, Dirty Faces or Runny Noses. Hypoallergenic so they are great for babies with eczema. For review I was sent a set of green wipes. Upon touching the wipes they were very soft and a really good size. Included with the wipes was a letter explaining what they are made of, as well as two different recipes for homemade wipes solution. Since I didn't have any tea tree oil on hand, I decided to use a very simple variation of one of the recipes. I combined: 1 tablespoon baby oil 2 teaspoons baby wash (or baby shampoo) 2 1/2 cups water and poured over the wipes that were in a plastic baby wipes container. Then I just swished them around a bit and then were ready to go! Baby A was happy to oblige by providing me with a very stinky diaper shortly after, so I could try the wipes out. With disposable wipes, it feels like we easily use 6-8 wipes with her stinky diapers, but with these cloth wipes, I only had to use two! Baby A also has problems with diaper rash and sensitive skin, so disposable wipes often irritate her skin and hurt her, but with these wipes that was not a problem as they are made with organic materials and no chemicals. Overall, the wipes were easy to use, soft and gentle on her skin. When I was finished, I just tossed them in with the cloth diapers in my wetbag and then were ready to wash with the next load of diapers. I don't think it could get easier than that! The only tip I have is to pre-wash your wipes alone or they will run onto your diapers if placed next to them when wet. Learn more: You can learn more about SMQ Organics and all of her products by visiting her Etsy shop. Purchase: Visit her Etsy shop to browse her beautiful selection of handmade items for babies. Win: Enter below to win your very own set of cloth wipes! Open to U.S. and Canadian residents. 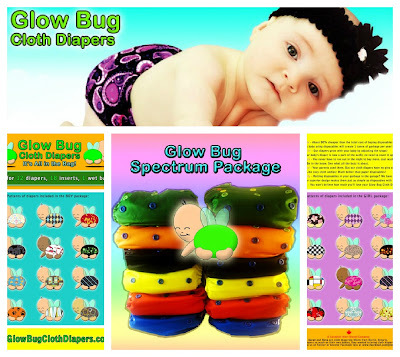 and there are two wonderful cloth diaper reviews and giveways! #1: Buddy Doo's Adventure-Roos, is featuring a review and giveaway sponsored by WAHM Hayley, and her adorable diapers over at Ecobloomers! 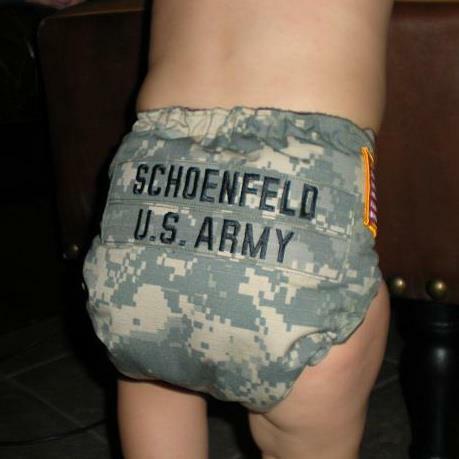 She is known for her custom military diapers, but she also makes one-size and newborn pocket diapers, inserts, and wipes. your chance to win the fantastic giveaway! enter the giveaway to win a diaper from Glow Bug HERE! The lucky winner of this giveaway is Suzie Williams! Congratulations Suzie! Your prize will be shipped to the address provided. Thanks for entering! Day 28 of Kickin it off with Cloth Event hosted by the Thrifty Nifty Mommy Blogger Network features two cloth diapering reviews and giveaways. Cloth Diaper, sponsored by Moraki. To read the full review and enter for your chance to win, click HERE! 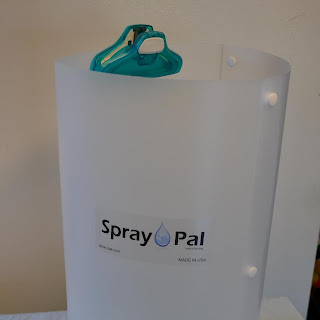 giveaway sponsored by Spray Pal! Head on over to Open Hands to read the review and enter to win one of your own here!! It's Day 28 of the Kickin' It Off With Cloth event by the Thrifty Nifty Mommy Blogger Network and I am happy to introduce you to Moraki. I am really excited to share this diaper review with you, as I just love companies that are mama owned and sell products made in the USA! 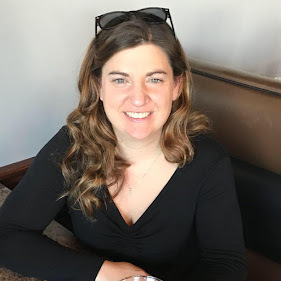 Moraki, Inc. is a mama owned, conscientious manufacturer aimed at creating high quality, innovative, and stylish reusable cloth diapers and other family products while stirring awareness in sustainable living and waste reduction. Our focus will remain on supporting local communities and individuals as we grow. The goal of Moraki is to offer products that eliminate waste, backed by outstanding customer service. Our motto is "protect baby and earth." We currently offer an AI2/Pocket Diaper and innovative hemp/cotton inserts. They function well, fit 7-40+ lbs, and provide a trim fit for a newborn and heavy wetting toddler. All of our products are made in California, USA by locals moms and we offer an incredible warranty plus a 30 day wash and wear guarantee. 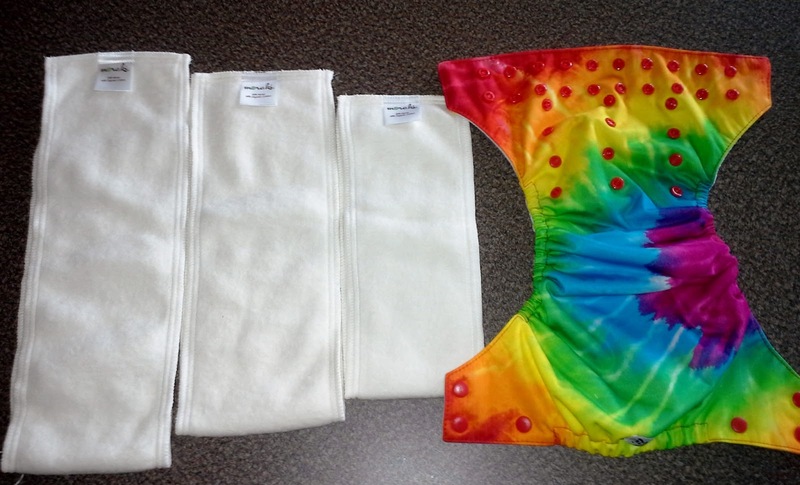 From the moment I opened the Moraki website, I couldn't wait to receive my diaper! Not only is the company wonderful, but the diaper designs are so cute! I was given the option of choosing my design and after much debate, I settled on the Hippie style. I wanted something that was really colorful, but also gender neutral so that it could be reused by any future children. When I received the package, I couldn't wait to rip it open and of course, as expected, I was thoroughly impressed! The diaper was really beautiful and included with my review package were all three sizes of their super soft organic cotton and hemp inserts. They were all wrapped in a cute package with colored twine, a little instruction guide, and a beautifully hand-written note from the owner. Prepped and ready to use right from the package for daytime. Ready for overnight in just a wash or two. One size, so they will last from newborn through toddler. At 20+ lbs, Little A has three sets of snaps to grow into. 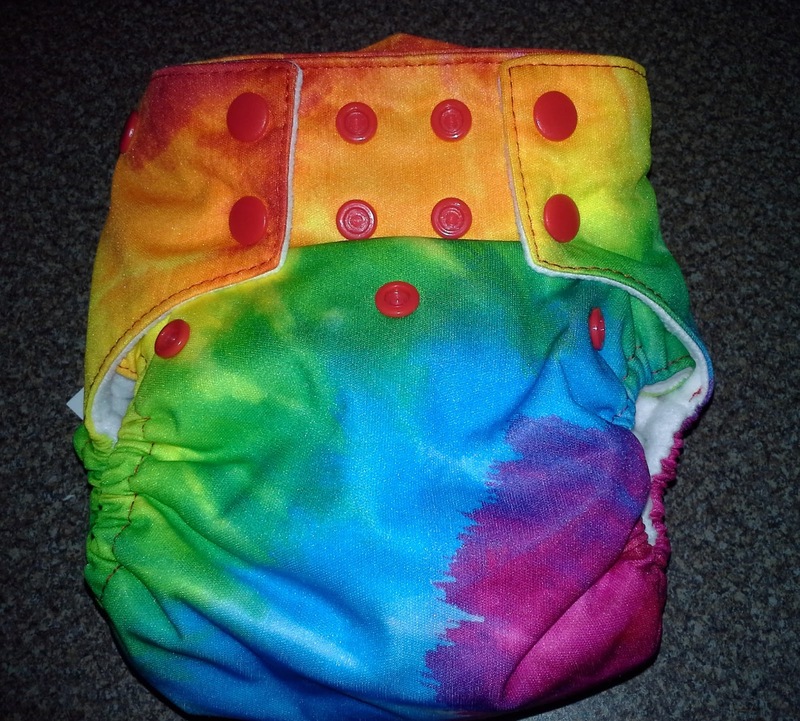 AI2/Pocket design which is versatile for your cloth diapering needs/preference. Snaps, so no velcro tabs to worry about. Trim fit, not bulky. Even with 2 inserts. Excellent "leg room", so no pinching little thighs. Super absorbent and soft inserts in three versatile sizes which can be folded to fit. Super cute and handmade/sold by moms like you! During the day, we used it with the medium insert laying inside the diaper (not stuffed) and it really was super absorbent! After two+ hours, she didn't have a single leak and no rash. She almost always gets a rash if she spends that much time in a disposable,even with diaper cream. But, with this diaper, no cream necessary and she was rash free! That's a huge plus in my book! At night, we used the Overnight stuffed into the pocket of the diaper and then the small or medium on top. Again, no leaks! We use a different brand of fitted diapers overnight sometimes and they can be really bulky which makes getting her pajamas to fit an issue. But the Moraki was really trim and more absorbent! Overall, we really love our Moraki and it has quickly risen to one of the favorite diapers in my stash! It is stylish, super absorbent, versatile and easy to use/wash! 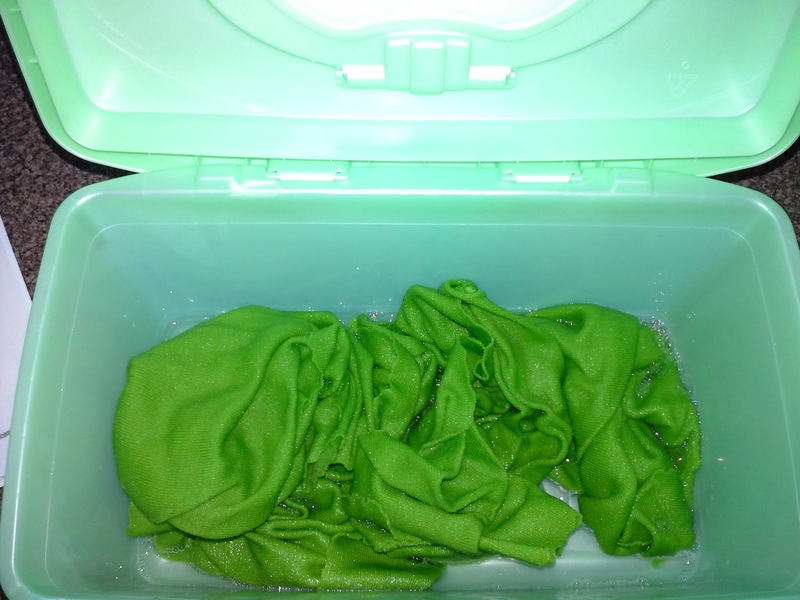 I would recommend this for any cloth diapering mom or mom that is thinking about trying it! 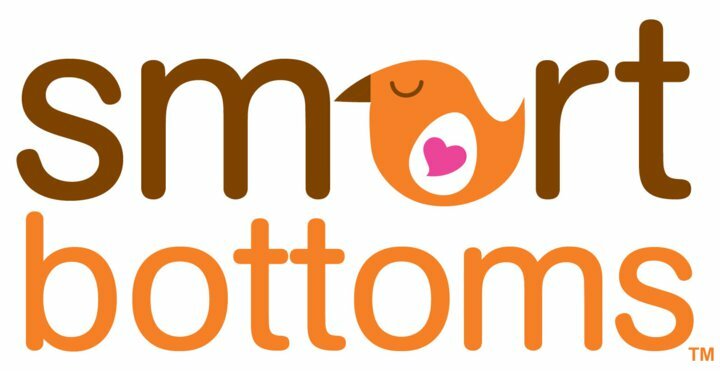 Learn More: Visit the Moraki website to learn more about this company and their awesome cloth diapers! Get Your Own: Go to their online shop, browse their cute mommy-made styles and start your Moraki addiction today! Don't forget to buy their super absorbent inserts! Win It: Enter below to win your very AI2/Pocket diaper from Moraki! Head over to We're Parents!? to read the review & enter the giveaway to win a cover and workhorse fitted from Green Mountain Diapers HERE! 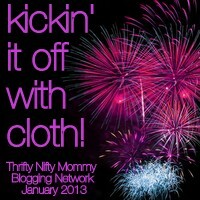 It's Day 26 of Kickin It off with Cloth from Thrifty Nifty Mommy Blogger Network! Today's review and giveaway is for an AIO from Smart Bottoms! Amanda from Open Hands is loving this diaper for her little girl, and it has become their go to diaper!You can read all about it and enter to win one of your own by clicking here! There is also a information post for Day #26. Yesterday, Mommys Craft Obsession featured the cloth wipe maker, Ladybug on a Pug. If you missed that review you can go to it now by clicking HERE, then enter the giveaway for a set of cloth wipes! Now, the whole point of using cloth is to save money, right? So why waste your money on buying a wipes solution when you can make your own! Today's tutorial is how to make your own wipes solution, and I bet you probably have at least 3 out of the 5 ingredients already in your home! Head on over to Mommys Craft Obsession and check out the DIY by clicking on this link! The winner of the Dropps giveaway is Sue Neoh. Please check your e-mail to confirm your shipping address. As always, thank you all for reading the blog and entering the giveaway! Calling All Teachers! Check out Pinkadots Elementary! As someone with experience and a Master's degree in Elementary Education, I know how hard it can be to find good and inexpensive resources/ideas for your classroom. Some of the best resources usually come from other teachers. I truly wish that during my teaching experience, I knew of an online store that you could purchase reasonably priced, inquisitive and extremely helpful ideas for my classroom! If you are a teacher or mom looking for ideas for teaching your kids/students, then you have to check out Pinkadots Elementary! Their blog and online store feature ideas for lessons, organizational ideas for the classroom, freebies, and lesson plans that have succeeded their expectations. It's day 25 of Kickin' It Off With Cloth and we have hardly even mentioned cloth wipes! 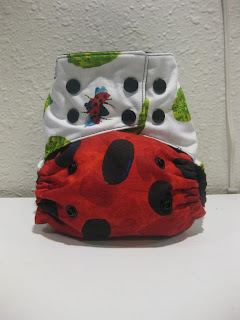 Cloth wipes are the perfect companion to cloth diapers so make sure you check out the review for Ladybug on a Pug over at Mommy's Craft Obsession! 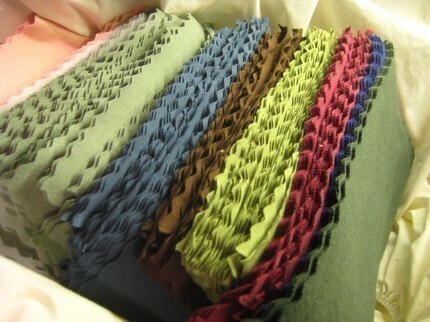 Also be sure to enter the giveaway and win a set of 12 cloth wipes for yourself! 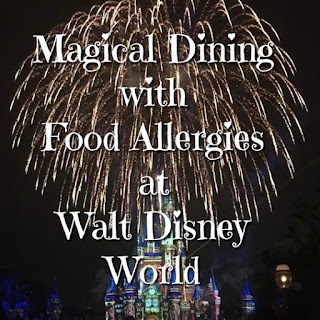 Click HERE to read the review & enter the giveaway! 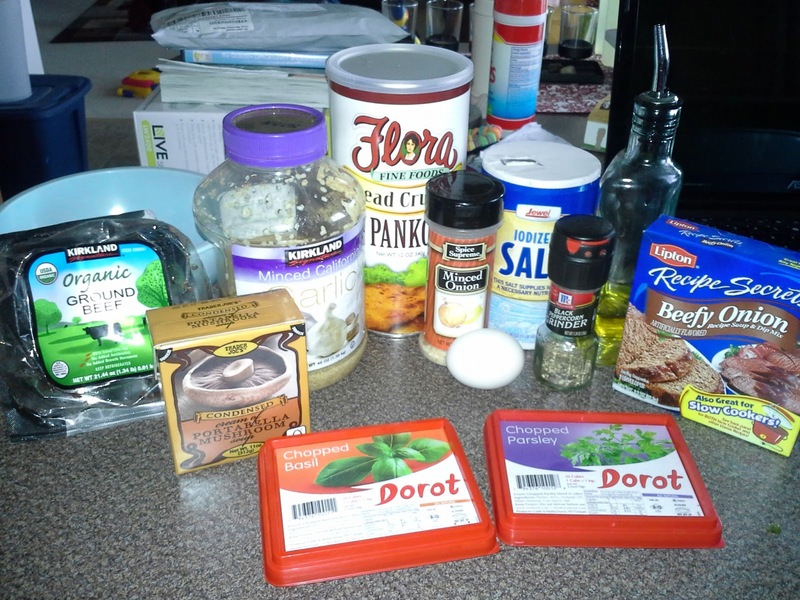 Here is a quick and easy recipe for making meatballs and gravy. 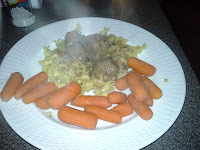 My family absolutely loved it (husband ate like 12 meatballs) Feel free to try it out! Combine all ingredients in large bowl. Mix by hand until completely mix together and meat binds together. Form into meatballs the size of golfballs. 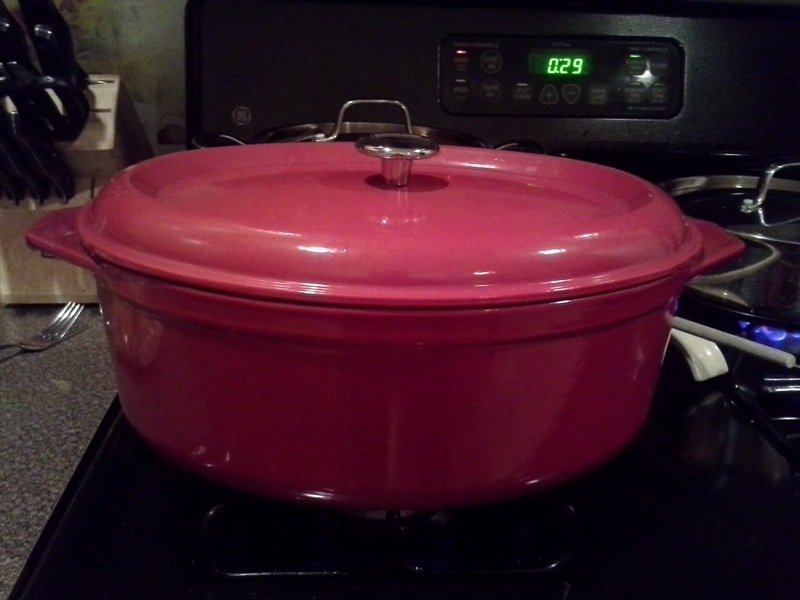 Heat dutch oven (saute pan can be used) over medium heat. Add additional olive oil to coat bottom of pan. 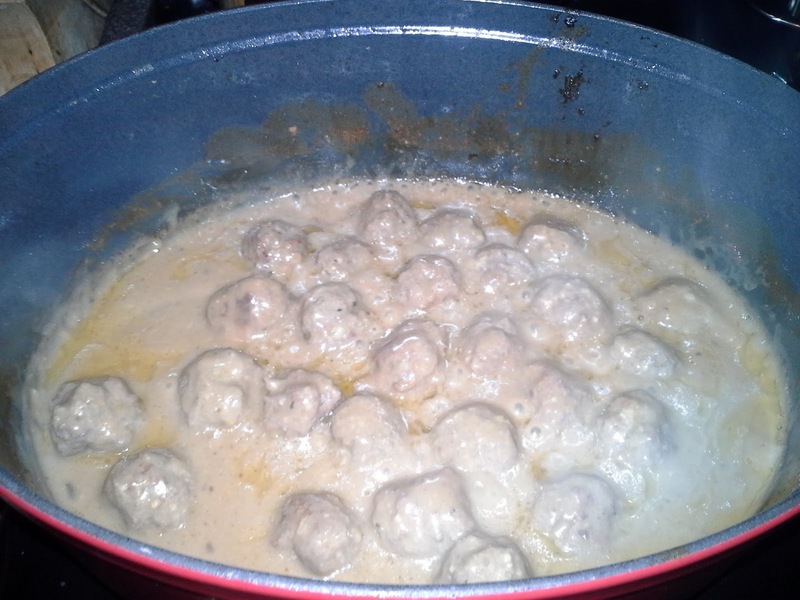 Place meatballs in the pan and brown. After they are browned, drain grease and remove meatballs from dutch oven/pan (do not clean dutch oven/pan). Add all gravy ingredients to dutch oven/pan and stir until mixed well. Be sure to scrap all of the good stuff from browning the meatballs from the bottom of the pan. If you think the gravy is too thick, add additional water/broth. If too thin, wisk in some flour. Once thoroughly mixed, add meatballs and stir gently until they are coated. 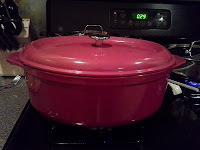 Then, if using a dutch oven, cover and place in a preheated 350 degree oven for 25-30 minutes, stirring one halfway through. 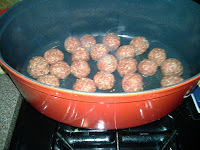 If using a saute pan, cover and cook over med-low until meatballs are fully cooked. I served it over egg noodles, next to brown sugar carrots. Hope you enjoy the recipe! If you try it, feel free to let me know how you like it! Its Day 24 of Kickin it Off With Cloth! Today we're kickin it off with Smart Snugs and their SimpleSnug One-Size Pocket Diaper! Check out the review and giveaway over at Buddy Doo's Adventure-Roos! here with a review from pv. body! Lately I've seen a lot of companies offering monthly subscription boxes for all sorts of different products. When I saw one for active wear I was definitely intrigued! pv. 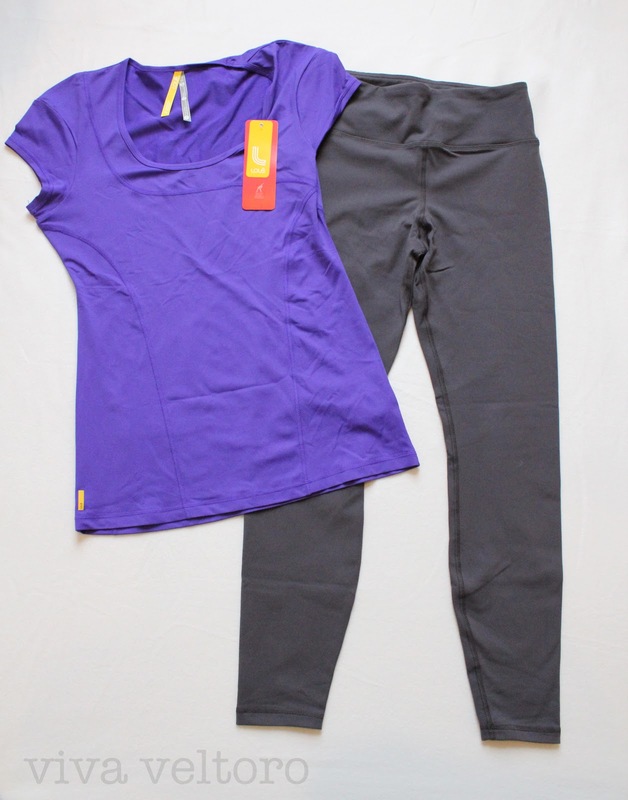 body aims to bring you the best quality active wear at a fair price. No more paying upwards of $100 for a pair of yoga pants! They've developed relationships with large and small brands from around the world to deliver amazing, upscale fitness gear to your home every month at an awesome price. I don't know about you, but when I have new workout gear that makes me look and feel good I actually want to work out more. It motivates me to get up and get moving! That's why I signed up to become a pv. body ambassador! 1.) When you visit the pv. body website, you'll take a quick quiz to determine your pv. body style profile. You'll be asked your preferences in terms of sizes, colors/patterns and styles, and what types of activity you like to do. 2.) Once your personal style profile is established, the pv. body experts will put together a personalized outfit just for you (one top and one bottom). The retail value of this outfit will be $100 or more! 3.) Each month your outfit will be shipped to your door for only $49.95 - a fraction of the retail value! Plus, returns are easy and shipping is always free. Want to see what I received in my fitness box? First, let me say that I am a complete sucker for cute packaging! Your customized fitness box will arrive in a hot pink mailer, how fun is that? In my style quiz I stated that I like bold colors for tops and dark solids for bottoms. pv. body definitely delivered! It's always nerve racking to order clothing online since you never know how it's going to fit, but I decided to go with a size medium top and bottom. I received a beautiful purple top from Lolë. The Lolë Cardio top features a scoop next with asymmetrical seam. It's made out of nylon and elastane to wick sweat away from your body. There is an iPod pocket in the back which is a great feature! This top retails for $50. The pants I received are Performance Sportswear by American Apparel. These full length Fitness Pants are smooth & form-fitting and are also made from nylon and elastane. The color is alloy, a dark industrial gray. The pants have a a great hidden pocket to store a key, cash, ID, or even a credit card. These pants retail for $48. In terms of size, I'm pretty happy with the fit. Both pieces have a great deal of stretch but if you're not used to wearing very form fitting clothes you might want to size up. I probably could have ordered a large and been happy as well. pv. body is so awesome that they're offering you 20% off of your first fitness box. That's only $39 for fitness gear worth $100+. You can click on this link to get started! Also, keep an eye out for a sweet giveaway from pv. 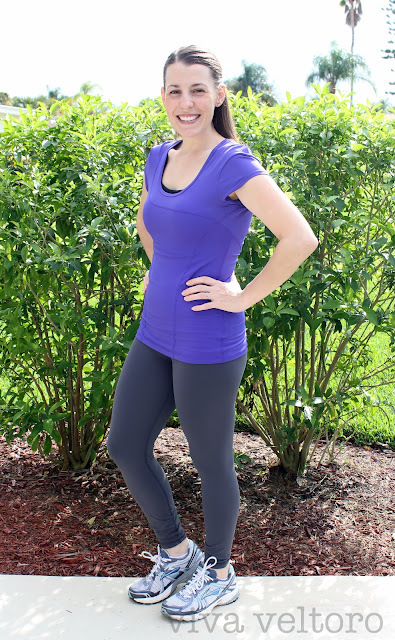 body in next month's "I Am In Love" event hosted by The Thrifty Nifty Mommy Blogger Network! Connect: You can connect with pv. body on Facebook and follow them on Twitter. Buy it: You can purchase your first fitness box for 20% off through my special link HERE. Disclosure: I (Viva Veltoro) received the items above at no cost in exchange for my honest opinion. The opinions expressed are my own. I have signed up to be a brand ambassador and will make a small commission when readers sign up through my affiliate links.